The birth and postpartum period are a very sacred and delicate time for a mother. When preparing for pregnancy and birth, pregnancy literature and medical healthcare workers tend to focus on the the physical aspect of pregnancy, while the emotional and mental well-being of the mother often takes a backseat. Though it is vital to focus on ensuring physical comfort during pregnancy and birth, as a mother is experiencing a life-changing journey, her emotions and spirit will also need nurture and care as well. As a doula, it is part of my mission to ensure that my clients take steps to ensure that in addition to their physical and nutritional care, that they give the same amount of attention to their mental and emotional bodies. In doing so, they are increasing their changes of being in a balanced and harmonious state as they carry their child, and for the birth itself. Additionally, these actions during pregnancy can have a significant impact on the well-being of the baby, and can also reduce the likelihood of postpartum depression developing for the mother once the baby is born. While there is no way to properly predict whether or not depression will develop during pregnancy or in the postpartum period, there are things that can be done during and after pregnancy to reduce the likelihood of both from happening, and to ensure that mama feels good in her spirit, her mind, and body! Below are some insights and actions to take during pregnancy and during the postpartum period to reduce mental and emotional health imbalances and postpartum depression. Food has a direct impact on our emotions and mental health, and during and after pregnancy especially. It is important that you maintain a healthy and balanced diet during this time. The following foods are recommended to ensure a balanced emotional state while also providing your body with the necessary nutrients: eggs, legumes, leafy greens, whole grains (brown rice, quinoa, oats), berries, bananas, organic fish and meats, nuts, root vegetables, cultured foods, mushrooms, and avocados. Drink plenty of water to ensure that you stay hydrated throughout your pregnancy and have the energy you need. being, reduce your stress and anxiety and make you feel good. Consider activities such as a walking and prenatal yoga, and any other light exercise that feels good to your body. The idea is to stay active and moving, but not to over do it! During the pregnancy and particularly during the postpartum period, don’t hesitate to communicate to your friends or family that you may need some additional support. Use your community, your village, any support you have. If you have a live-in partner, let your partner know if you need additional support in any area. 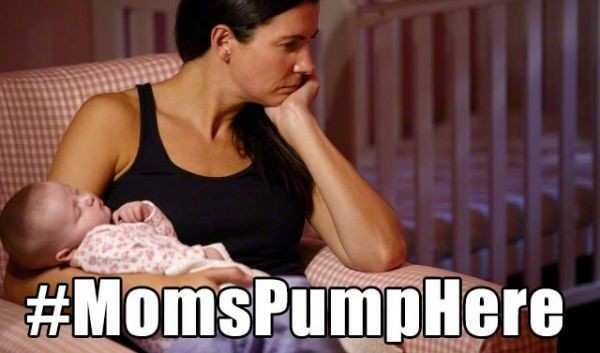 If you can, pump in between feedings so someone else can feed the baby while you rest or shower. Set up a meal train on www.mealtrain.com; this allows family members and friends in your network to sign up to bring you meals on a specific day; this is especially helpful during the postpartum period! Whenever it is feasible for you, ask others to help you with housework, or anything else you may need support with. You can also consider hiring a doula in your area for both your birth or postpartum; and if finances are an issue, there are usually volunteer and low cost doulas available to support you. It’s not talked about often, but difficulties with breastfeeding are another leading cause of postpartum depression. If you give birth in the hospital, be sure to ask the Lactation Consultant as many questions as possible about breastfeeding, and get the support you need before leaving the hospital; if you have the resources, you can also hire a Lactation Consultant to come to your home. Another option is to contact the local La Leche League chapter in your area (in the U.S.) to attend free breastfeeding meetings with a Lactation expert and other new moms. But also remember that there is a chance that you won’t be able to breastfeed your baby no matter what you try. This is common and not a reflection of you as a mother. Luckily there are other ways to provide nourishment for your baby if breastfeeding is not an option. Pregnancy, birth, and postpartum can bring up a range of emotions. It is a natural occurrence and it’s imperative that you have an outlet to talk about what you’re feeling. Whether it’s with your partner, friends, a therapist, a doula, or a mother’s support group, be sure and talk through whatever has come up for you. It is healthier than holding it in. Studies have found that the nutrients in your placenta can help to reduce postpartum depression. A placenta encapsulation specialist takes your placenta after birth and makes it into pill form for your consumption. The benefits are amazing! Both during pregnancy and after birth, as much as possible, reduce the amount of stress-filled situations and people in your life. Do activities to help you reach a calm and peaceful state, such as daily meditation, deep breathing, spending time in nature, and anything else that brings you calm. Consider prenatal and postnatal acupuncture, energy healing treatments, yoga, and massage as well. Try and reduce the amount of negative consumption whether it be the television, movies, newspapers, etc that you absorb. Keep yourself surrounded by positive energy, goodness, and love whenever possible!